From the time I was 9 until my senior year of high school, my family lived in a rambler in a wooded neighborhood called Sherwood Forest in Silver Spring, Maryland. We spent a ton of time in the kitchen, which had a huge bay window. 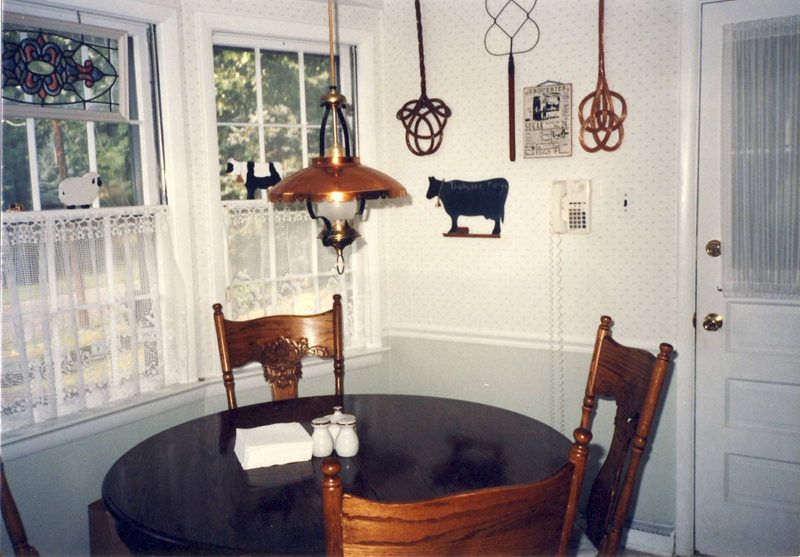 We ate most of our meals at a large wooden table in front of that window, despite the fact we also had a formal dining room. We had a good view of our street since our house was at the top of a hill. In high school, after dinner was over, I usually finished my homework at that table. Lots of humanities essays were composed there. My sister still has the table and chairs. 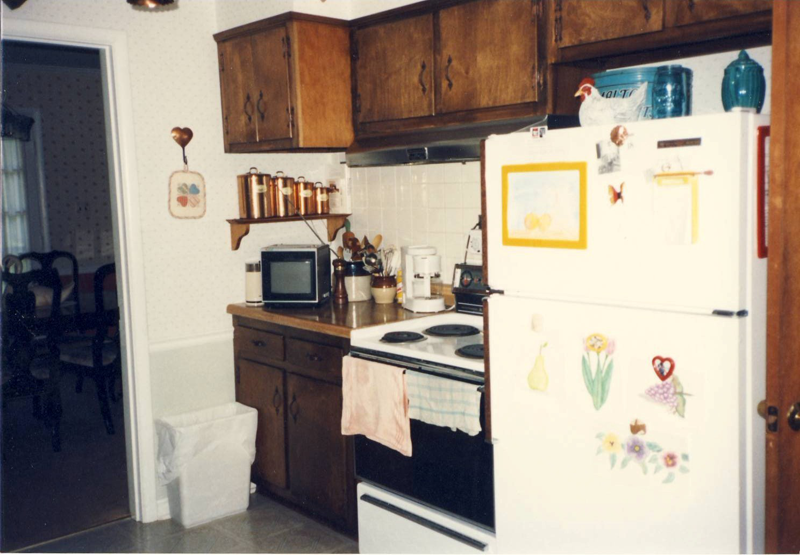 When we first moved into the house, the kitchen had an ancient turquoise refrigerator with a pedal-operated freezer on the bottom (this was from waaaay before bottom freezers were the in thing). We eventually had to replace it with the fridge you see pictured above.